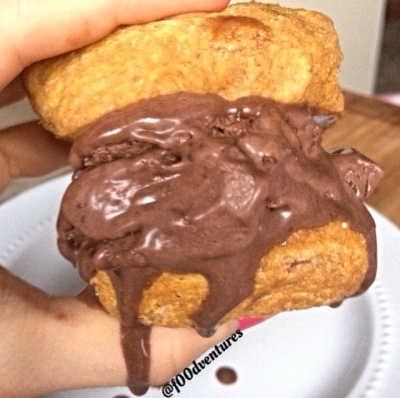 if you love donuts and ice cream then prepare yourself for this - vegan donut ice cream sandwiches! the donuts themselves are made in 5 minutes then stuffed with ice cream of choice. yum! combine all ingredients to make donuts. mix well until a dough forms. pull off pieces of the dough and roll into a thin rope. form into a donut shape and arrange on a large plate. microwave ~3 minutes or until fully cooked. let cool. spoon some ice cream onto one of the donuts then cover with another donut. enjoy!